Are your customers waiting for their offer and time is running out? Do complex calculations cause you headaches? TILIGO is a universal application allowing you to rapidly create basic or complex commercial offers depending on your needs. The program contains features to manage parts, goods, services or sets of these components as well as a database for suppliers and customers. Thanks to this we have the possibility to quickly create detailed calculations and generate offers in a friendly form to the customer. In case of an order we can generate a shopping list and an order to the suppliers from the same offer. 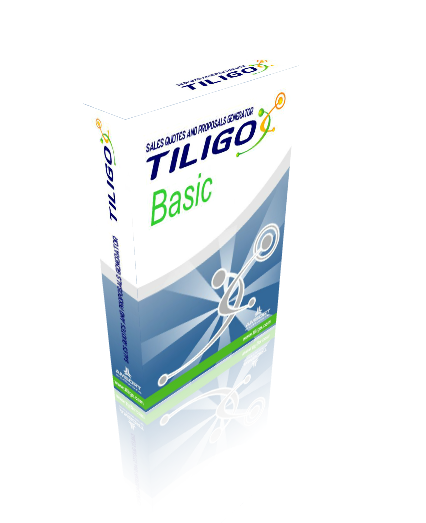 TILIGO can be installed as a single or multi user workstation version working within the network. The Basic version is used for quick creation of offers, made up of simple components, product storage and service database. The Premium version has all Basic version features and enables you to create and use product and services list, alternatives lists, templates, offer additional fields printout, two independent departments with products and offer database.